In Memory of Those Who Lost Their Lives, originally uploaded by Eric Jeschke. 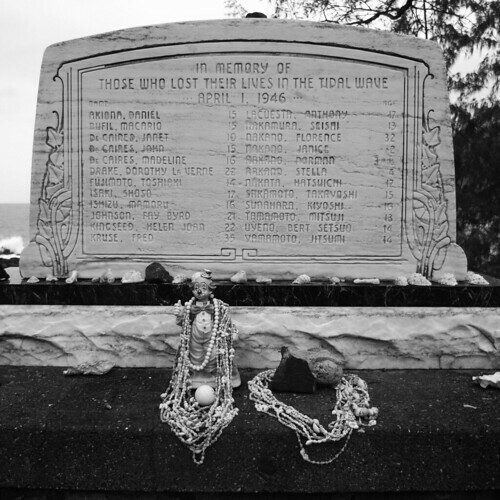 A memorial to the victims of the 1946 tsunami, at Laupahoehoe point. There was a school right on the point here and the tsunami took quite a few kids that day as well as teachers (check the ages on the list). After that the school and many of the homes were relocated to the cliffs above. There are still a few homes down here that could get caught when the next big tsunami hits Hawaii.